The aquafil Alpine Double Water Bottle Refill Station and Drinking Fountain has 2 drinking fountains and multiple refill points to provide clean, fresh drinking water to the public. There is also a range of additional options to ensure the right fit for each application. 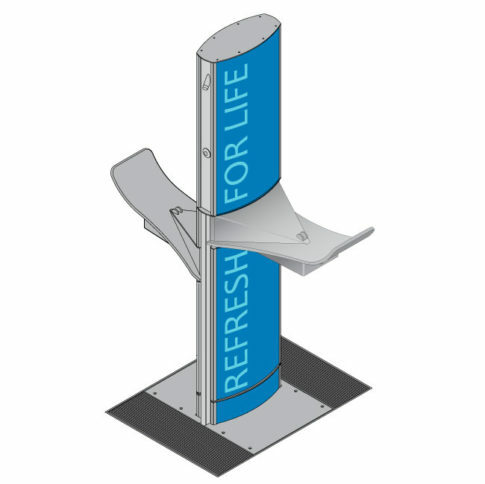 The water bottle refill station and drinking fountain is available in 2 heights, 1500mm and 2100mm. 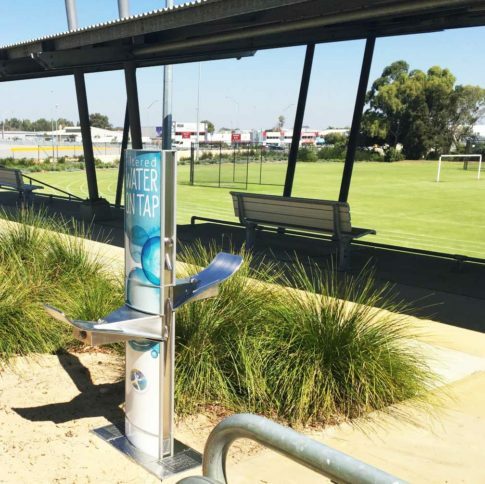 The anti-bacterial dispensing nozzles deliver quality filtered or non-filtered drinking water and with the added option of a dog bowl, you can ensure the whole community has access to quality drinking water. 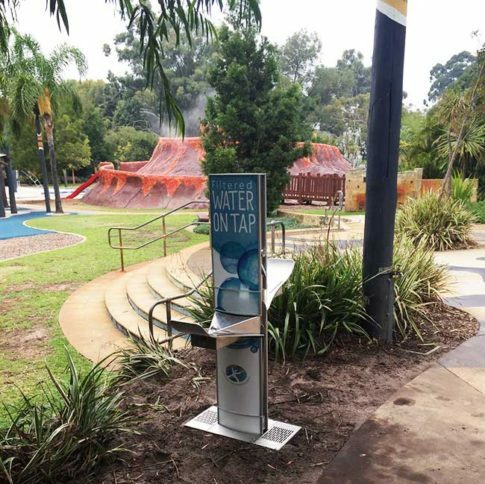 You can refill your bottle or drink directly from the drinking fountain making sure everyone has easy access to water at all times. 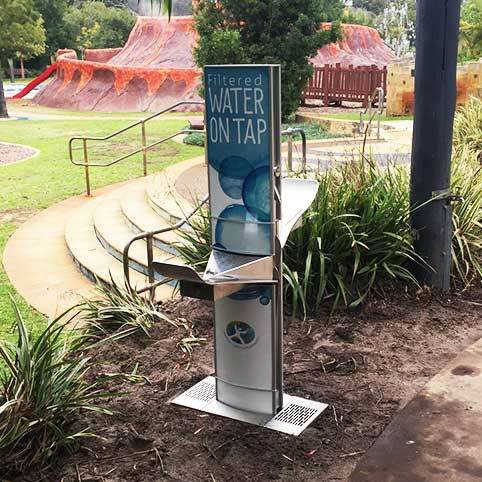 The benefits of a public drinking fountain include saving money and reducing the amount of plastic waste that ultimately ends up in landfill, oceans and waterways causing enormous damage to the environment. By promoting a sustainable way of living and encouraging a healthy lifestyle the aquafilUS unit is a dynamic educational tool in the fight to reduce plastic waste and conserve precious resources resulting in a cleaner, greener planet for future generations.